Signed c.l. 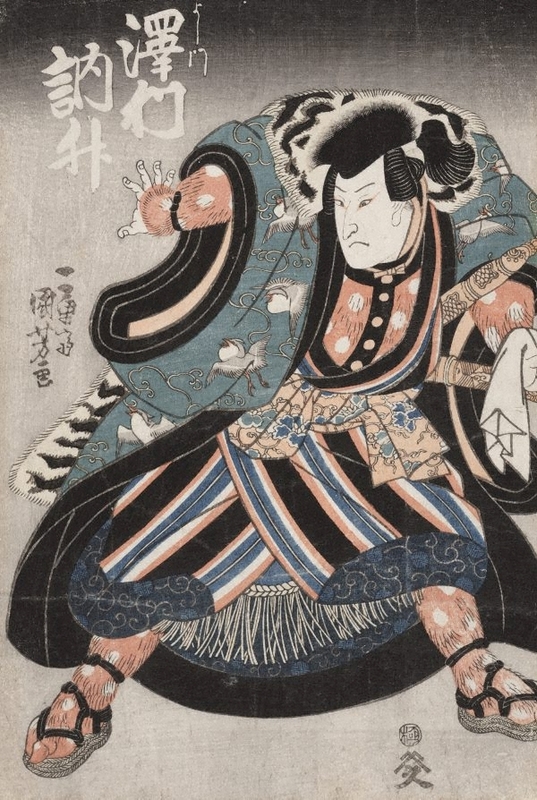 in Japanese, ink [incised on block] "Ichiyûsai Kuniyoshi ga [picture by Ichiyûsai Kuniyoshi]". Not dated. Stepping out: three centuries of shoes , Sydney, 2009, 18 (colour illus.). The colour illus. on page 18 is the image from the right side of this work.